Styled “Queen of Flowers”, roses have inspired poetry, song, art, strange beliefs and fables. 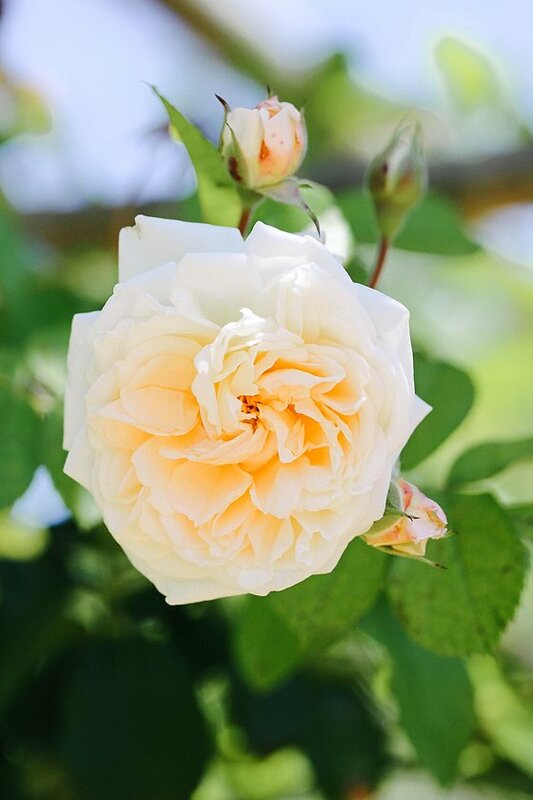 On our daily garden tour one of Gundula’s favourites is the antique climber Souvenir de la Malmaison – do stop to pick and smell, where it rambles up the towers along the grapevine pergola, ’tis a sweet delight. 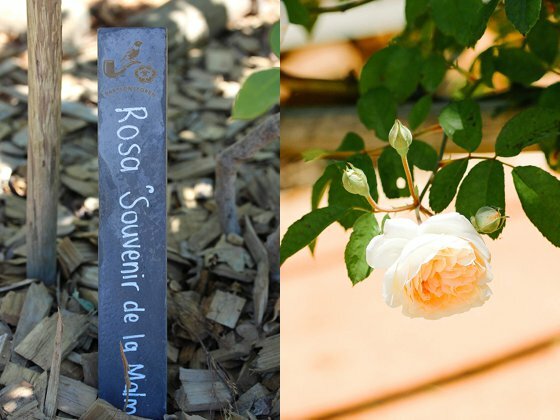 This rose is named for Château Malmaison, once the country seat of Empress Josephine of France, wife of the Great Nappy. An avid collector of exotic plants, she spent wads of money importing them into France. In her own private haven the Empress became absorbed in the subject of botany, going as far as to heat the greenhouse with coal-burning stoves during harsh European winters. Much to hubby’s dismay, she had a crush on the English garden, or jardin anglais. Josephine sourced numerous species from a London nursery owned by James Lee and Lewis Kennedy. It is said that even during the war , Kennedy was bestowed a special passport to run the Continental Blockade with the Empress’ treasured plants and enter France undisturbed. From 1804-1814 Château Malmaison boasted the largest collection of roses in the world, with 200 varieties. Josephine commissioned famous artist and botanist Pierre Joseph Redouté to paint watercolours of the rose collection at Château Malmaison. To be enjoyed.